Express the joy of the holiday season with this elegant luxury red wine and sweets gift box. A luscious bottle of French red wine is paired with delicious European gourmet sweets in a perfect combination. 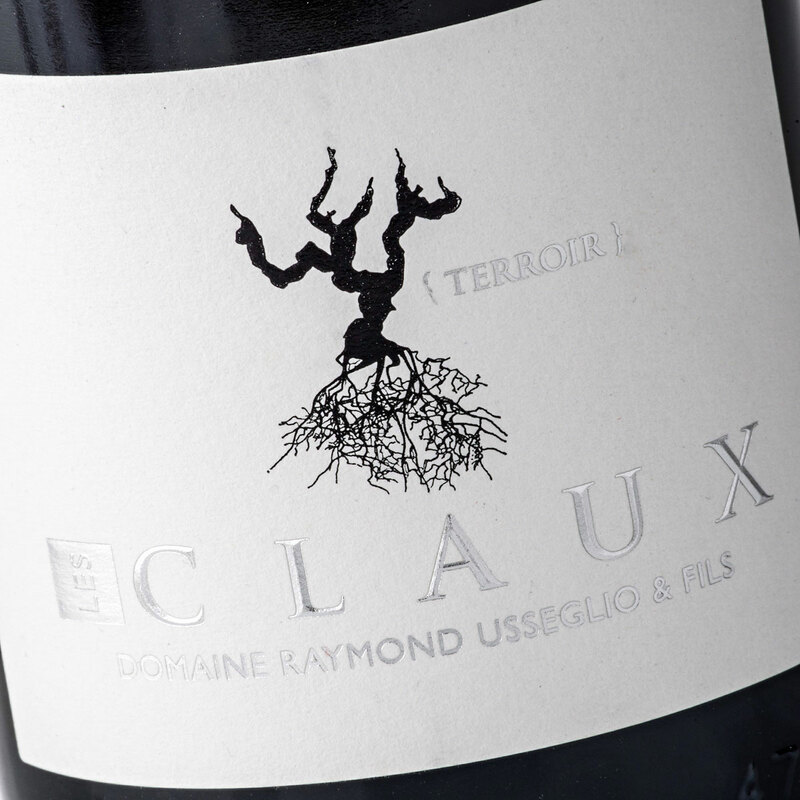 This elegant French Côtes du Rhône Claux red wine from Domaine Raymond Usseglio & Fils is a Grenache, Syrah, and Mourvèdre blend that is long and complex, rich with dark berries. 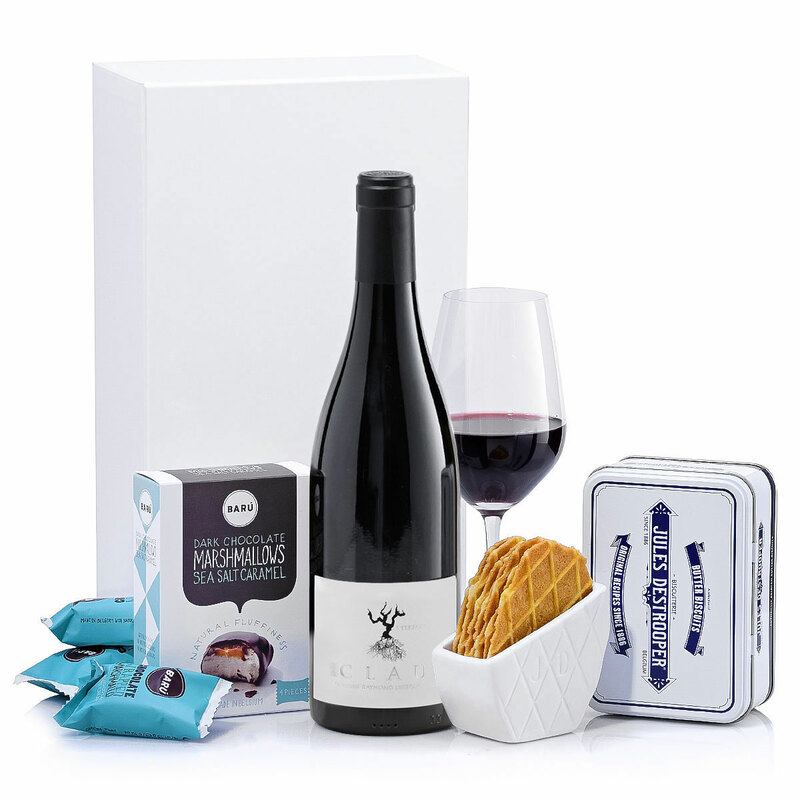 This stylish gift set also includes a duo of tempting sweets to enjoy with the red wine. 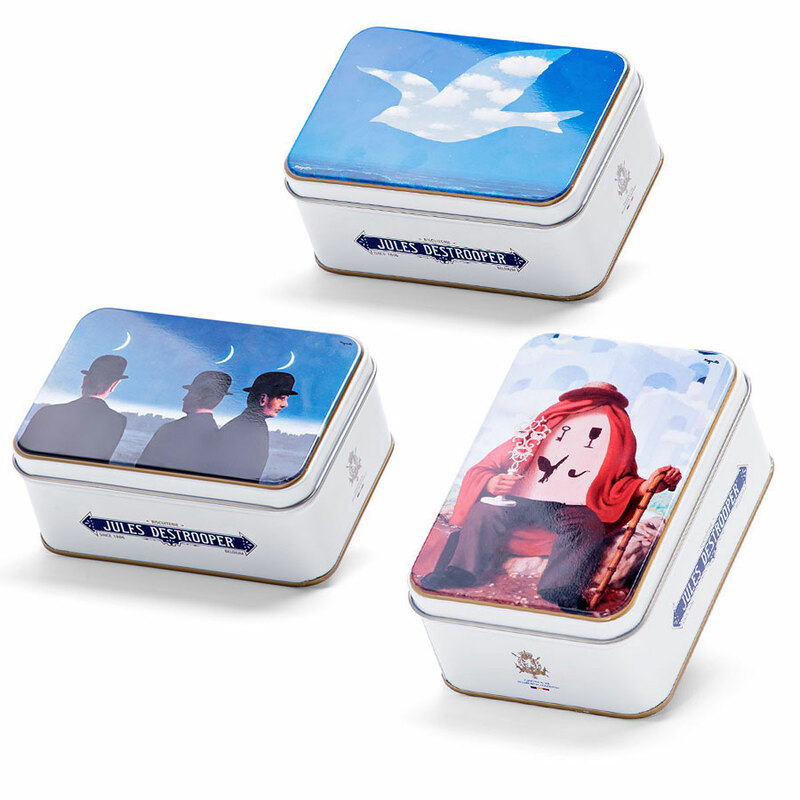 Classic Jules Destrooper butter crisps are presented in a keepsake retro tin box. 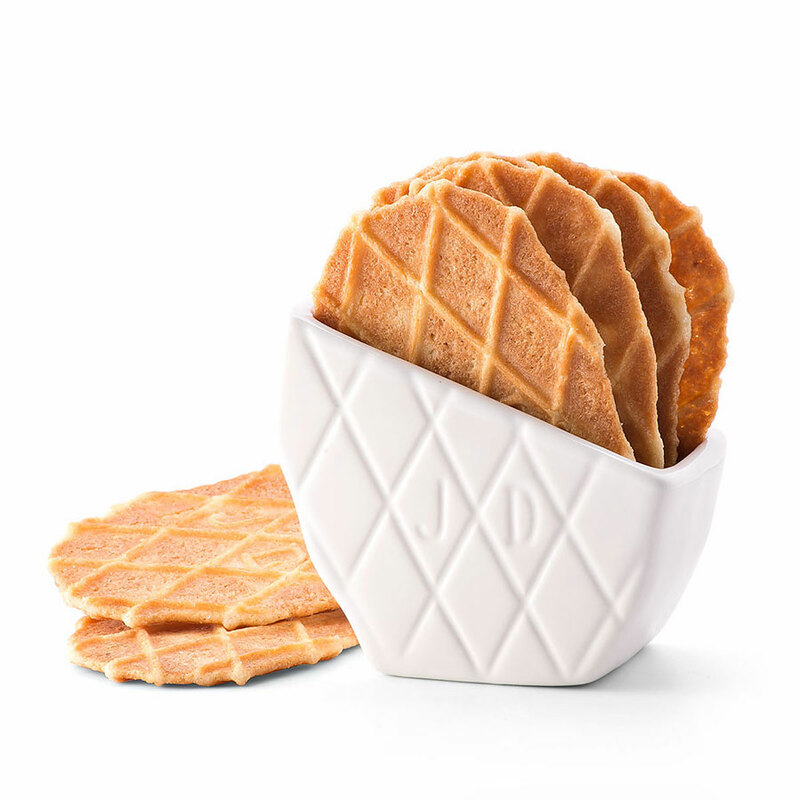 A signature Destrooper serving bowl features the same waffle design as the cookies, for a charming way to serve and enjoy the butter crisps. 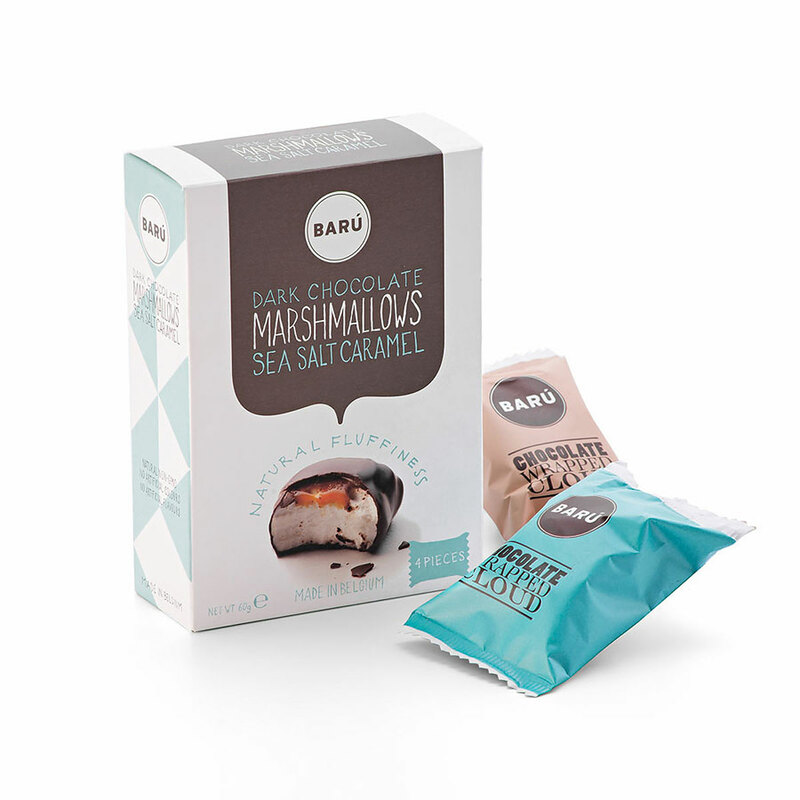 Sophisticated sea salt caramel marshmallows dipped in Belgian dark chocolate by Baru complete this special holiday gift set. It is an ideal New Year's gift idea for offices, friends, and family in Europe.